Merlefest 2017 is just around the corner. The North Carolina High Country’s premier Americana Music Festival returns to the Wilkes County College campus in North Wilkesboro the weekend of April 27-30. Some of the headliners this year include the Zac Brown Band, the Avett Brothers, and Marty Stuart. Also returning is one of my favorites, Scythian, but one of the joys of Merlefest is discovering new artists you’ve never heard of before, and with over 80 different acts you’re bound to find a new favorite. So come on down and experience the music, the moments and the memories. starting at Noon. Check it out. Another fabulous Merlefest has come and gone leaving behind a lot of great music and memories. I always have a great time at this annual celebration of Americana and roots music, not only taking in the fabulous performances but enjoying the vendors, the arts and crafts, the food and the informative nature hike provided by local botanist Ken Crouse. I particularly enjoyed the fine sets by Irish newcomers We Banjo Three and Merlefest stalwarts, Scythian and Old Crow Medicine Show. But don’t take my word for it read what Huffington Post had to say about the festival. Merlefest has announced the lineup for 2016 and made the early bird tickets available. Headlining next year is 70’s singer/songwriter John Prine who will be bringing his “illegal smile” to the festival Thursday April 28, 2016. Other headliners announced are , the Wood Brothers and Steep Canyon Rangers. More acts will be announced in the next few months. Check out Merlefest.org for the full line-up and schedule. along with Eric Hardin of the Troubadors perform 8pm, Sat Aug 9. Other musicians for this 2-day Festival include: Big Country Bluegrass, Wayne Henderson, Charles Welch, The VW Boys, Whitetop Mtn Band, Crooked Road Ramblers, Rock Bottom Bluegrass, Time Sawyer, and The Amigos Band. Come out to enjoy the music, local crafts and food under the shadow of Phoenix Mountain by the Big Horse Creek. This weekend nearby Lenoir, NC hosts the 6th annual Pop Ferguson Blues Heritage Festival. The two day event runs from Friday evening, June 13 to all day Saturday, June 14. And it’s FREE! A Friday night block party kicks off the festivities at 6 pm with music by Bryan Anderson and Vonna and Ron Perkins. the Grill and Brew club of Lenoir will be supplying the food. Saturday’s activities begin at 9 am and continue until 10 pm with workshops, arts, crafts and food. Performances start at Noon on 2 stages. Featured performers include Bryan Anderson, Vonna and Ron Perkins, Phil Wiggins, Sweetbriar Jam, the Pop Ferguson Blues Revue Band as well as many more. Merlefest is just about a month away-tomorrow is the last day you can buy tickets at the early bird discount price- and while we eagerly await the chance to enjoy four days of Americana/roots/folk/bluegrass/blues/country/Cajun music, we are happy to remind everyone that this will hardly be the only opportunity to see this style(s) of music performed in the North Carolina High Country. MusicFest ‘n Sugar Grove has announced the line up for its upcoming festival to be held July 11 and 12 at the Historic Cove Creek School in Watauga County. This will be the 17th edition of the festival and will feature tunes from the likes of Doyle Lawson and Quicksilver, Willie Watson, Chatham County Line, Charles Welch, the Whitetop Mountain Band and many others. The organizers of Merlefest 2014 have announced the addition of music legend Merle Haggard to the line up of performers for this year’s festival. Haggard will close out the festival on Sunday April 27, 2014. The four day festival runs from April 24-27 on the grounds of the Wilkes County Community College in Wilkesboro, NC and features over 130 acts performing country, folk, bluegrass, blues, Cajun, Americana and various hybrids. 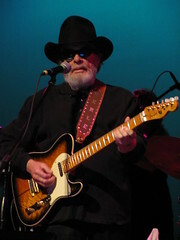 Merle Haggard, a Country Music Hall of Fame inductee, has been making his unique hard edged blend of country and blues since the 1960s, and it will be a special thrill to catch one of the original Outlaws at Merlefest this year. The initial line-up for next years Merlefest has been announced. 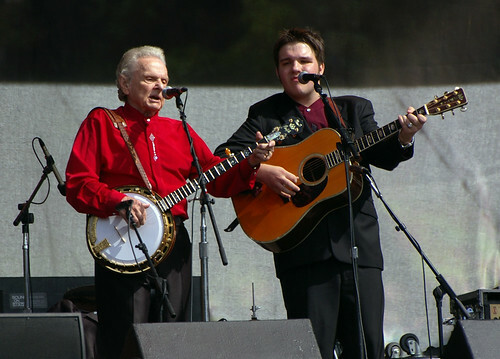 The 2014 music festival will be held April 24-27, and will feature such artists as Dr. Ralph Stanley, Sam Bush, the Steep Canyon Rangers, the Sleepy Man Banjo Boys, Nu-Blu, Red June, and many more. More acts are sure to be announced in the coming months. Tickets go on sale November 12, 2013. We fill up every year for Merlefest so make sure to book your reservations at Mountainview Lodge early! Come out to Sparta this coming weekend, September 21, 2013 for the annual Mountain Heritage Festival. Check out the mountain crafts, watch a display of traditional flatfoot dancing and enjoy some old timey music. The Zephyr Lightning Bolts will be the headliners but make sure you stick around for the crowning of the Possum Queen! Website Hosted by InsideOut Solutions.